Dr. Ananda Joshi is a pioneer leading poet of Nepal Bhasa new poetry. His published three poetry books " Visthapit Ji - Ji Makhu", "Koshaloha" and " Ananda Joshi ya Kavita・." 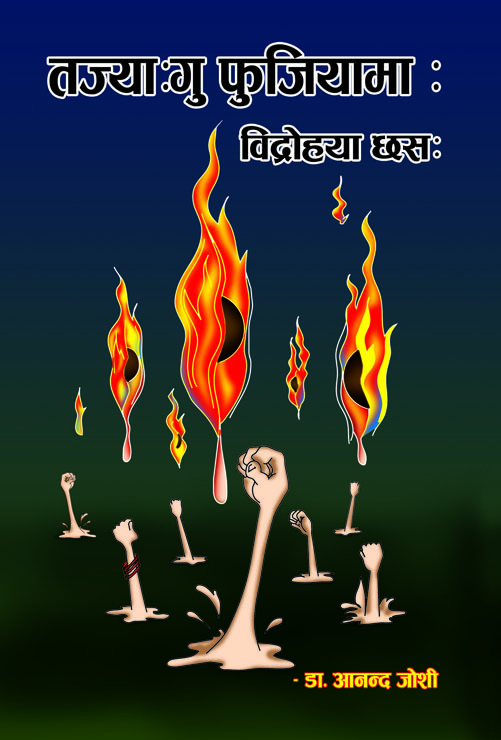 are regarded as the milestones in the Nepalese New Poetry. He is also a Haiku poet, he has already published many haiku in the various magazines. According to him "Haiku is one of the proper ways to present the interlinkages between nature, resources and human actions. Though it is a small canvas, it is a powerful medium for new form of expression of live-situation, feelings and visions. 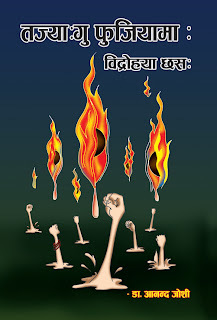 At present, Haiku becomes one of the essential components of Nepalese life." His new Haiku book, named "Ananda Joshi's 101 Haiku" is going to publish shortly. Dr. Ananda Raj Joshi is one of the distinguished Environmental Management Experts and Former Director General of South Asia Co-operative Environment Programme (SACEP) and South Asian Seas Programme (SAS), Sri Lanka. Nepal Bhasa (नेपाल भाषा, also known as Newah Bhaye and Newari) is one of the major languages of Nepal. 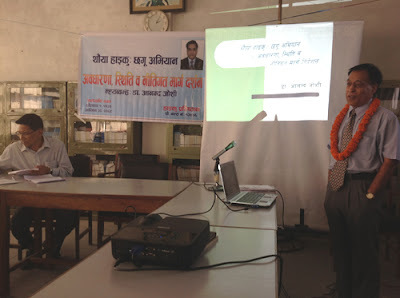 Recently a workshop related to Modern Haiku in Nepal was organized by the Haiku Foundation. In this workshop, the founder and leading modern poet Dr. Ananda Joshi presented a paper on the concept and future direction of Modern Haiku entitled “ Modern Haiku : Concept, Status and Future Directive Policies”. In the presentation, he gave a new concept integrating three interrelated and interdependent components: Life, Environment (surrounding features), and Development (Fig. 1). Modern haiku‘s dimension and coverage have already changed. At present, modern life and issues are quite different and complex and a lot of new issues and challenges are emerging in the ecological systems, surroundings, and life supporting mechanisms. The people of today, their habitat’s status, their work and other activities influence the topics and contents of modern haiku. Modern haiku poets need to consider not only nature, but other components such as physical, biological, social, economic and cultural aspects. Therefore, this is the only way to express the carrying capacity of resources, needs of people, as well as present and future development. He has also given some examples of modern Nepalbhasa haikus. The workshop was participated by haiku poets, poets, writers, journalists and critics. His concept was new not only to Nepal but to the other countries as well. The participants accepted this concept and expressed their views to implement this modern concept. 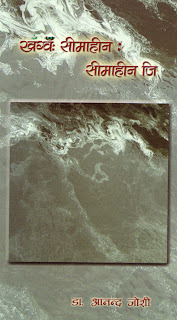 one of the founders and leading modern poets of Nepalbhasa of Nepal, were published. These books have given a new vision and direction in the development of modern poetry and haiku in Nepal.